When my mind said this, I knew it wasn't joking. What's true for me is also true for you & everyone? When we "see" everything, do we pay attention? The world has many sights thanks to many souls. Doers, onlookers, lawyers, judges- we play many roles. Our attitudes, sights, beliefs dictate our interpretation. True, life isn't a bed or roses or a cakewalk. But, we can make our speech & actions talk. Choosing & sharing positive thoughts & insight. It's celebrating independence from negativity everyday! There's much in our nation & world that's brilliant & divine. Also, there's a lot more that we can do to make things fine. "Aham Brahmasmi" is Brihadaranyaka Upanishad's essence. It means- "I am the Infinite Reality"; but do we sense? We'll see absolutely everything & will strive to make us WIN! With our WIN, our nation & world too WINs with us! Smiles, good thoughts & positive actions are infectious! Mother India smiled, free from all worries. Note- India celebrated her 69th Independence Day on August 15th, 2015. 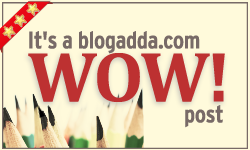 Won the WOW Badge here. A positive spin on Independence. Just what I needed to read! Thank God! An optimistic outlook towards our Independence... I know we have so many things wrong but that doesn't mean we don't value the Independence! Very inspirational! Happy belated Independence Day! Happy Belated Independence Day and your writing is awesome. Let independence be the source of happiness for all Indians. 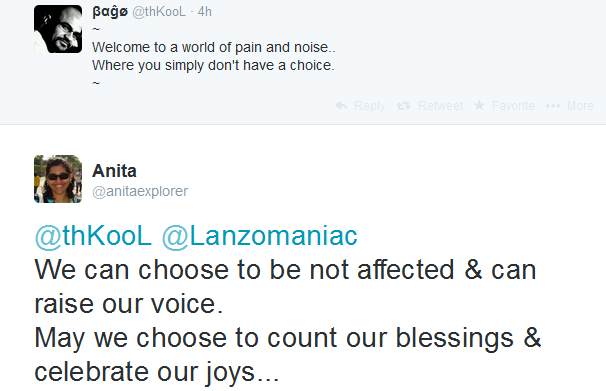 Love your thoughts, Anita on Independence to free our souls. Belated Independence Day. True and powerful! Beautifully put together, Anita!